VICTORIA — Pacific FC continues to keep it local. Club officials announced the signing of another two British Columbia natives on Monday, with Abbotsford goalkeeper Mark Village and Surrey midfielder Noah Verhoeven joining the fold on Vancouver Island. All seven Pacific FC players signed ahead of the initial Canadian Premier League season so far have been from the Canadian west coast. Verhoeven, 20, comes to the club as a top prospect in the Canadian youth national team ranks. The Surrey native broke through Canada’s under-20 side in 2018, eventually captaining the side and earning a call up to the Under-23s. A former Vancouver Whitecaps academy product, Verhoeven comes to Pacific FC following a season with Fresno FC, the Whitecaps’ USL Championship side, where he made seven starts. Help us welcome our latest signings to the Island! Village is the club’s first goalkeeper signing. The 27-year-old shot-stopper started his career with the University of Fraser Valley Cascades where he was named MVP and Canada West Second Team All-Conference before moving to Vancouver Whitecaps FC 2 in 2015. Village most recently spent time with now-MLS side FC Cincinnati. Village worked with Pacific FC assistant coach James Merriman in the Whitecaps residency program. 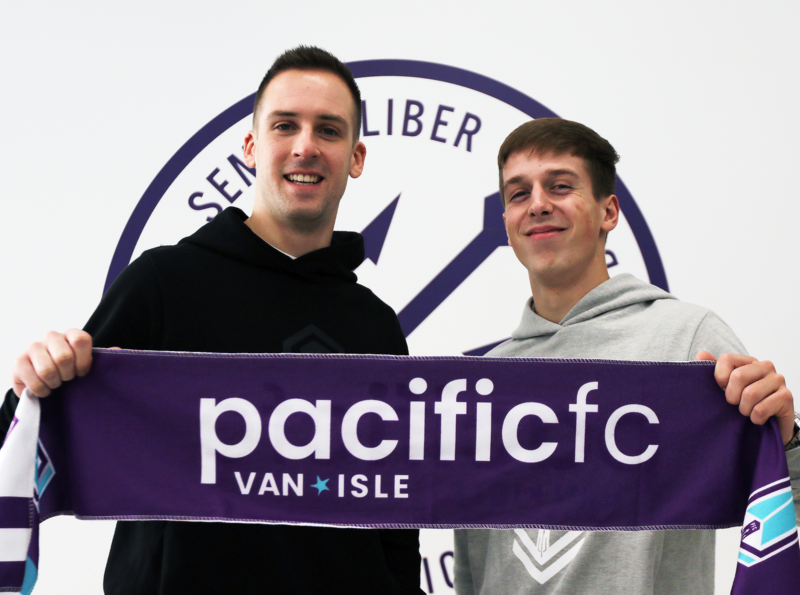 Village and Verhoeven join fellow B.C.-natives Alessandro Hojabrpour, Matthew Baldisimo, Terran Campbell, Kadin Chung and Marcus Haber at Pacific FC ahead of their inaugural CPL season.